ROTTENBURG, Germany (CNS) — A German pastor has ignited controversy by donning a headscarf during his Pentecost Sunday sermon. Father Wolfgang Sedlmeier, pastor of the Parish of St. Maria in Aalen, shocked his congregation by tying a scarf around his head during a Pentecost sermon and wearing it on the altar during the duration of the May 20 service. 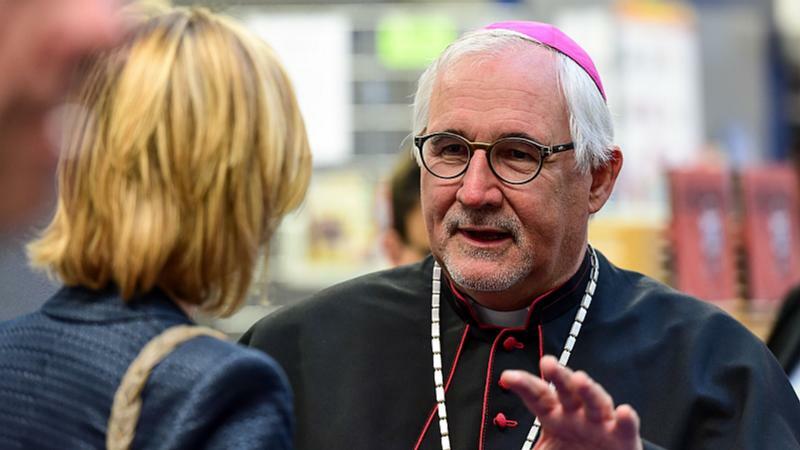 Bishop Gebhard Furst of Rottenburg-Stuttgart has criticized the manner of Father Sedlmeier’s protest. The diocese said that no disciplinary actions are planned. However, a diocesan spokesman expressed unhappiness with Father Sedlmeier’s behavior in Mass and the ensuing social media rampage. “To put on a headscarf during a Mass is certainly very unusual for the Catholic Church,” a diocesan spokesman told local media.